Kolam or aththappookkalam or rangoli, whatever it may be the home makers made it with devotion and serenety.This one is very pretty,Satya. I like to view all these items. Beautiful kolam, Loco mente! 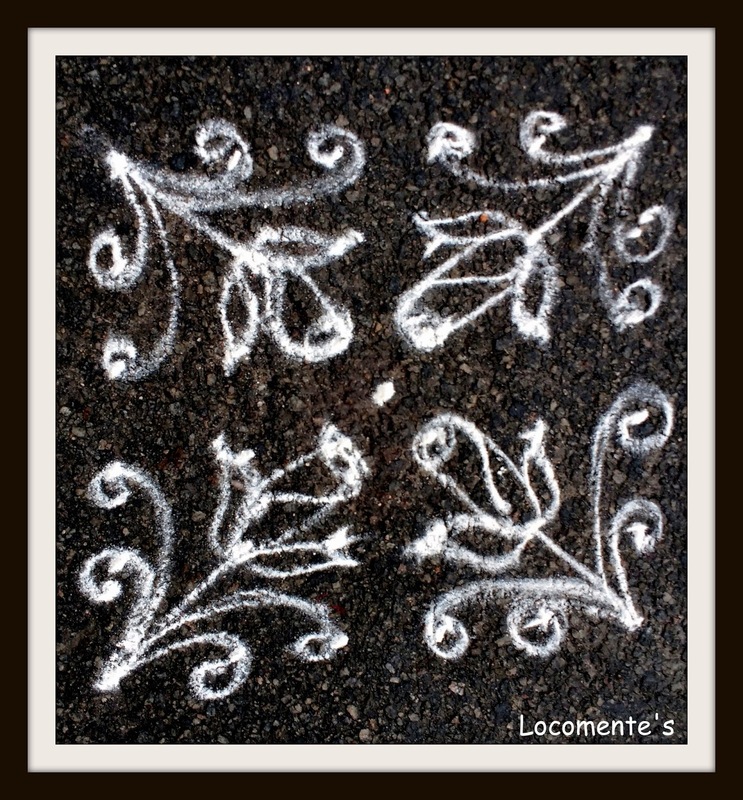 I still draw kolam in front of my door, even though it is a flat. I draw maakkolam everyday.